Saturday, Sept. 17 @ 7:30 pm. ‘collage à trois’ which has performed three times at the Fly and Camel Café. Since launching her solo career, she has performed across most of Canada, from Vancouver Island to the Gaspé Peninsula in Québec, at the Culture Collide showcases in Los Angeles and San Francisco, and also in Lille and Paris, France. She has opened for Esperanza Spalding at the closing concert of the Winnipeg Jazz Festival and for Coeur de Pirate at the kick-off concert for the Festival du Voyageur. She released her debut EP ‘Boxcar Lullabies’ in May 2015, and the music website Grayowlpoint.com gave it a ‘Proud Hoot (Really Good)’! 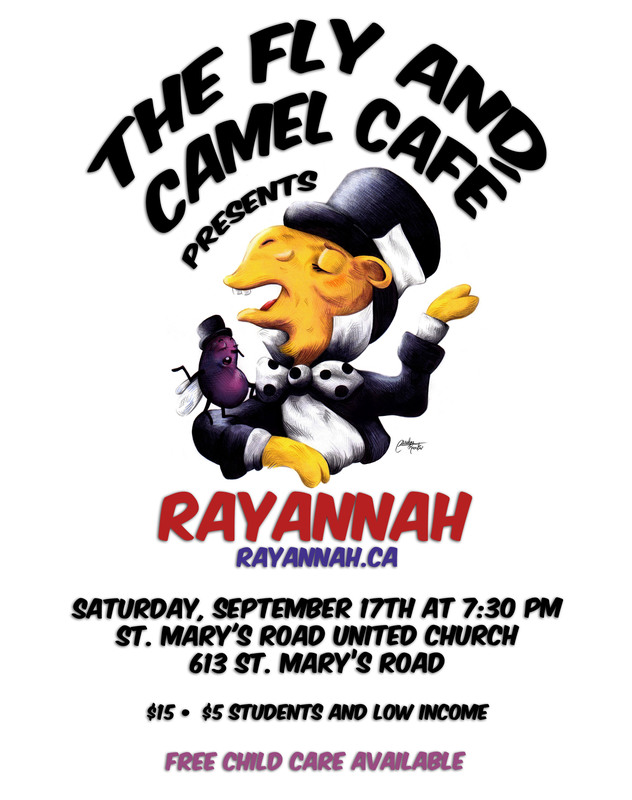 Rayannah was selected to represent Western Canada at the prestigious Festival International de la Chanson in Granby, Québec, this summer, and that is where she is as this is being written. As always, the Fly and Camel Café is one of the best entertainment deals in the city. There’ll be coffee, tea, goodies and community – and free child care for parents with small children.